Over on the ownCloud Inc. blog, Frank talks about the theft of data from iCloud in the wake of all those naked celebs, and argues that our data should not be stored in a few centralized services. It’s why we all are doing what we do at, for and with ownCloud – our raison d’etre. What is it that makes decentralization of data so important in this digital age? There are two major reasons: it makes it harder to get at (find) the data; and it diminishes its (the location’s) value. Turning your house into a vault is not in this list: we all know that somebody sufficiently determined can probably steal from us, but as long as we make it hard enough, thieves will generally pass us over and find an easier target. This is no different in the digital world. An unpleasant fact that we have to live with is that no amount of security can guarantee the safety of our data. Securing our digital possessions is important, but the other real-world tips carry over equally well. When you have an iPhone, a thief can easily assume you put your data on iCloud! So, don’t. Keep it out of sight on a private cloud and give the attacker the additional task of finding out where you store your valuables! The second reason for distributing data becomes obvious when you think about how it is used by attackers. Privacy is not just about private photos of you, your family or your friends. With modern data mining technologies, seemingly innocent data can be used to reveal information that you better keep to yourself. Information which could be sold to insurance companies, (potential) employers, political parties, your own or foreign governments, criminal organizations and so on. There is real money in breaking into digital storage, just like there is in real world break-ins. But unlike in the real world, the value is in having massive amounts of data which can be mined and related, rather than the data of an individual on its own. How do we protect ourselves against this? Let’s take the real-world analog again. If we, collectively, keep our data in the same place, stealing it all at once might be hard (certainly the security experts at Google and Apple know what they are doing) but once somebody does, the pay-off is massive. If our data was spread out all over, its value would diminish greatly. Having to break into millions of separate vaults, collect the data from each and then correlate it all is a massive undertaking – far greater than having a single target. And just like you’d keep an extra eye on your house when there is a flood of break-ins in your neighborhood, anybody trying to break into a large number of private clouds would set off alarm bells and get in trouble long before he/she amasses enough data to be valuable. And where do you host your data? A last but not the least important is of course where and with whom you host your data. If not at home, picking a jurisdiction where your data is more secure (like Switzerland) or at a provider you personally know and trust provides real value. Knowing where your data is and who has access to it is far easier with a small, local hosting company than with the likes of Google, Apple or Amazon. The more people take their data out of the storage centers controlled by a few large players and distribute it over the globe, the lesser the value of breaking into any data storage. 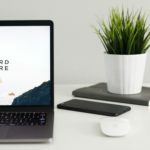 Millions of users have already deployed ownCloud as a way to conveniently sync and share their files, contacts, pictures and more in a secure and private way. Join them! You are right, and it is exactly what does “block-chain” used with bitcoins, and now available as a DEV platform with Ethereum. With the addition protection your data from any “change” or corruption. But protecting our data will be more and 1st a political fight, to change mind and constitutional legal. 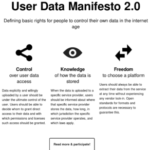 As long as people, groups, enterprises, countries, will not be globally recognized their own proprietary, of their digital data, we will still have Google, Apple, Microsoft, Facebook and others, to still them on their own profit, instead of OPEN data for contributive, shared & sustainable use of our all “digital assets”. Yes, though the block chain technology is an entirely new level with its own challenges and advantages. Very intresting, though, and I will certainly keep an eye on its development. But it isn’t mature enough for normal home usage yet, if you ask me. I would never keep all my files in one place. Strong encryption of your data, regardless locally or stored in the cloud, is the best solution, I think. I agree this will impact your transmission speed, but the idea your data is hard to get is very relaxing. Problem with that is that it is only truly secure when you use client side encryption, which means no web interface – which is why we currently don’t offer it (though it is a work-in-progress). With ownCloud, your best option is a server provider you trust. Luckily – there is choice! You can look up a local provider, talk to them and decide if you trust them with your data. i have a question that i couldn’t find an answer for it.the question is this:”why we use a linux server for configuring our owncloud? we use the server of owncloud and not our own server , so i think using a linux server is meaningless”can anybody help me? Linux is the operating system, on which the ownCloud server runs. 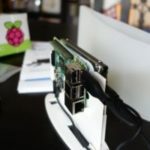 You need Linux to run an ownCloud server. 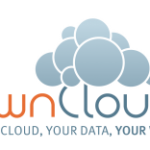 If you already use an ownCloud server, you don’t need a new one.